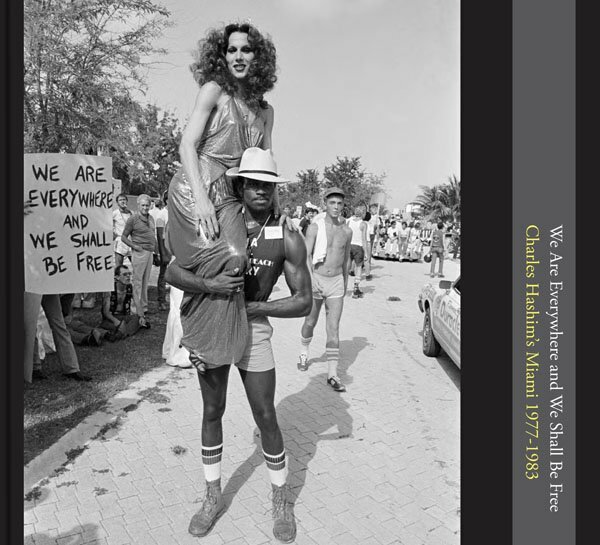 Charles Hashim will be at The Box Gallery exhibiting select images for his book "We are everywhere and we shall be free" as part of the "Kitsch and Kulture" Exhibition which opens on July 15, 2017 at 7 PM. All are encouraged to bring your copies and get them signed by the artist. To order your copy got to http://letter16press.com/products/we-are-everywhere. What emerges from Charles Hashim’s previously unseen photographs — all lovingly transferred from his original 35mm negatives — is an intimate portrait of a city coming apart at the seams, with the old social order crumbling and everything up for grabs. Pioneering gay rights activists, outlaw bikers, and libertine punk rockers duke it out for room to breathe with the Ku Klux Klan and religious revivalists. A new Miami was being born, and here's the proof of its growing pains in all their over the top splendor. “I’ve never gone out with a picture already in my head — the real world of Miami is stranger than anything I could think of,” explains Hashim, a Miami native and the now-retired Chairman of Miami-Dade College’s Photography department, where he taught from 1964 to 2003. His photos have been exhibited at BarryUniversity, the Frost Art Museum, the Miami Art Museum, and the MDC Museum of Art + Design.